China now accounts for 45% of the total global investment in renewable energy. 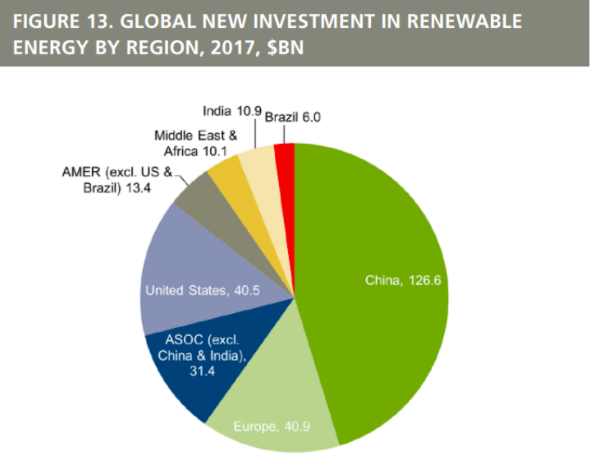 Global investment in renewable energy reached almost $280 billion last year, with China the biggest spender by far ($126.6 billion), followed by the United States ($40.5 billion). This means that for every $1 the US spent on clean energy, China spent $3. 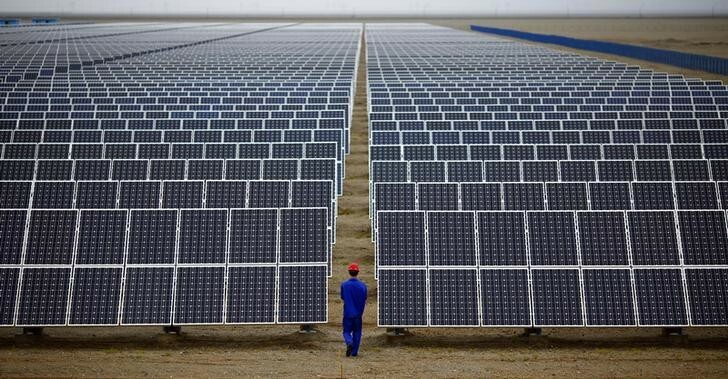 The scale of China’s investment in renewable energy is such that it now accounts for 45% of the global total, according to a report by the UN, Bloomberg New Energy Finance and the Frankfurt School-UNEP Collaborating Centre for Climate & Sustainable Energy Finance. The report reveals that 157 gigawatts (GW) of renewable energy was commissioned in 2017, up from 143 GW the year before. Around 40% – or 98 GW – of this was thanks to a boom in solar deployment, with China alone bringing 53 GW online at a cost of $86.5 billion. Yet, while China surged ahead, having increased investment in renewables by 30% between 2016 and 2017, the US lagged behind as investment decreased by 6%. However, the report describes the US as “relatively resilient” in the face of uncertainties around energy policy and President Donald Trump’s decision to pull out of the Paris Agreement. Europe, meanwhile, suffered an even larger decline (36%) in renewable energy investment, to $40.9 billion. According to the report, this was due largely to a 65% fall in investment in the United Kingdom, reflecting an end to subsidies for onshore wind and utility-scale solar, and a gap between auctions for offshore wind projects. Germany also witnessed a drop in investment, of 35% to $10.4 billion, on lower costs per megawatt for offshore wind and uncertainty over a shift to auctions for onshore wind. Globally, just 12.1% of the energy used in 2017 was drawn from renewable sources, equating to a 1.1% rise in comparison to 2016. This was despite various countries dramatically increasing investment, including Sweden (127%), Australia (147%) and Mexico (810%). During last year’s COP23 climate talks in Germany, 20 countries agreed to phase out coal by 2030. And although not legally binding, the move was welcomed as part of the global drive to replace fossil fuels with cleaner energy sources. However, this group didn’t include China, India or the United States, the world’s three biggest coal producers. Worldwide, 40% of electricity generated still comes from coal, and in 2016 over 7,200 million metric tonnes (MT) of it was produced globally. To put that into perspective, just over 3,000 MT was produced in 1973. This surge in production – which includes steam coal, coking coal, lignite and recovered coal – was due largely to China increasing its global share from 13.6% in the early 1970s to 44.5% in 2016. 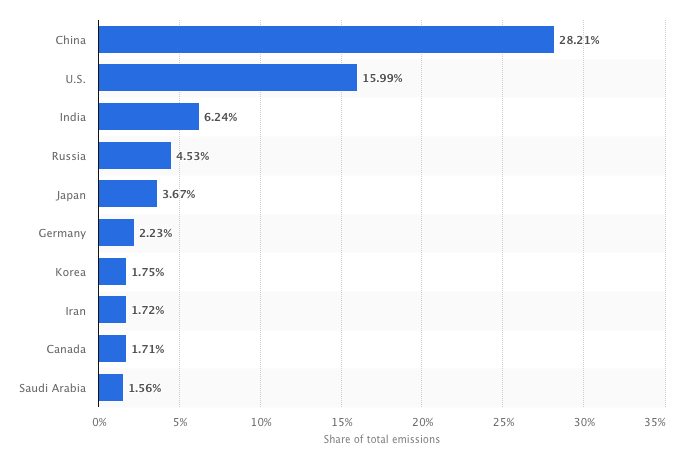 Unsurprisingly, this reliance on coal is also reflected in an increase in emissions, with China’s share of the mix jumping from 5.7% in 1973 to over 28% two years ago, according to the latest Key World Energy Statistics report by the International Energy Agency (IEA). But the world’s biggest coal consumer wants to end its reliance on fossil fuels and to lead the global transition to clean energy sources. Alongside China’s growing share of global renewable energy investment are initiatives to clean up air pollution, including a 100-metre-tall smog-sucking tower in the city of Xian. China also announced last year that it would scrap plans to build 85 coal-fired plants. The country has set various renewable capacity targets. Having already surpassed its 2020 solar panel target, the IEA says it expects China to exceed its wind target in 2019.